J Asthma. 2013 Jun 5. [Epub ahead of print], Rust G, Zhang S, Reynolds J. Objectives: Asthma is the most prevalent chronic disease among children enrolled in Medicaid. This study measured real-world adherence and outcomes after an initial prescription for inhaled corticosteroid therapy in a multi-state Medicaid population. Methods: We conducted a retrospective study among Medicaid-enrolled children aged 5-12 with asthma in 14 southern states using 2007 Medicaid Analytic Extract (MAX) file claims data to assess adherence and outcomes over the three months following an initial prescription drug claim for inhaled corticosteroids (ICS-Rx). Adherence was measured by the long-term controller to total asthma drug claims ratio. Results: Only one-third of children (33.4%) with an initial ICS-Rx achieved a controller to total drug ratio greater than 0.5 over the next 90-days. Children for whom long-term control drugs represented less than half of their total asthma drug claims had a 21% higher risk of emergency department visit (AOR 1.21 [95% CI 1.14, 1.27]), and a 70% higher risk of hospital admission (AOR 1.70 [95% CI 1.45, 1.98]) than those with a controller to total asthma drug ratio greater than 0.5. Conclusion: Real-world adherence to long-term controller medications is quite low in this racially-diverse, low-income segment of the population, despite Medicaid coverage of medications. Adherence to long-term controller therapy had a measurable impact on real-world outcomes. Medicaid programs are a potential surveillance system for both medication adherence and emergency department utilization. First this seems like a good place for a pharmacist, and second it seems like a good opportunity to use some medication adherence technology specifically designed for asthma. A couple that come to mind include Asthmapolis and GeckoCap. Asthmapolis – Asthmapolis is an interesting little device that goes on top of a patients existing inhaler. The device sits on the inhaler and is paired to a smartphone via Bluetooth. When the patient uses the inhaler it automatically captures not only when the inhaler was used, but the patients proximity as well. Yep, it records both the time and place to help patients better understand potential triggers for their asthma. The information is synched up and can be shared with healthcare providers or loved ones. 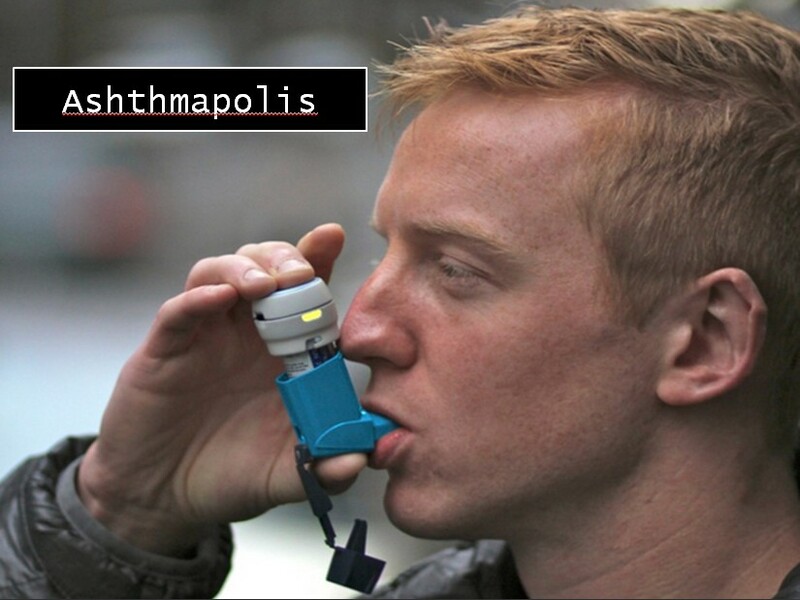 The beauty of Asthmapolis is that is leverages some of the anonymous data that it captures, aggregates it and can potentially be used to create trigger hot spots within communities. Information like this can be valuable for patients who have severe asthma and need to stay out of problem areas. GeckoCap – Here’s a little ditty called the GeckoCap. It was dreamed up some pediatricians, engineers and designers at MIT. 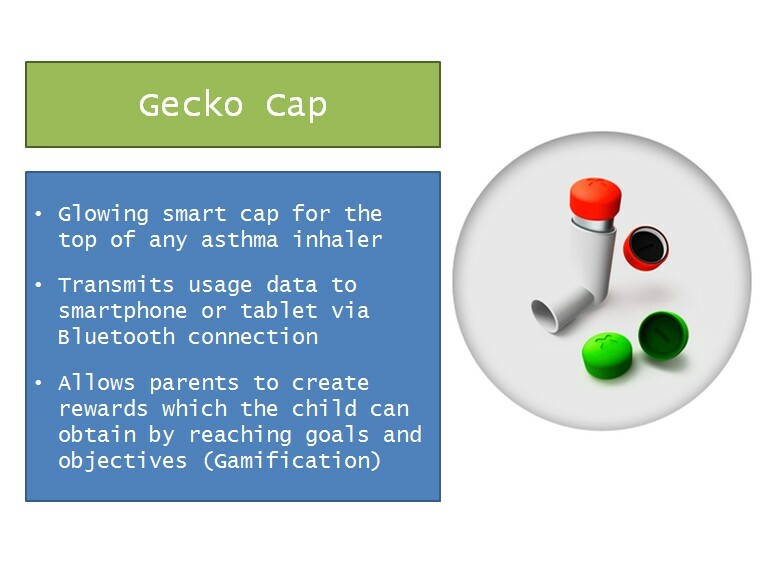 The GeckoCap is a small Bluetooth-enabled rubber accessory that sits atop your child’s inhaler. The cap has a tiny, colored LED light that starts flashing when it’s time for your child to use the inhaler, and it won’t stop until they do. When you press down on the GeckoCap it transmits the usage data to the GeckoCap website via Bluetooth pairing. That information is available to the parent or the physician. Similar to the Mango Health app, the GeckoCap uses a gamification strategy where the parents can set goals for the child and track their progress.